The Domino’s Pizza on North First Street in Shelton was robbed Sunday night. 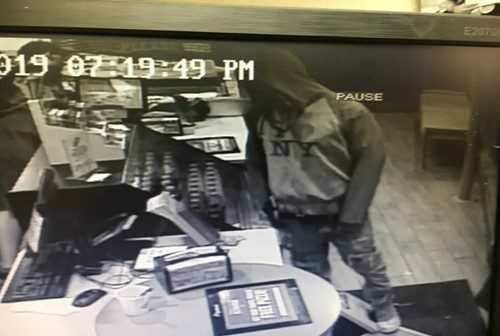 According to a news release, at approximately 6:45 PM, an unknown subject entered Domino’s Pizza on N. First St. in Shelton, armed with a handgun (what appeared to be a black semi-automatic handgun). The subject demanded money from the employees while displaying the handgun. The employees complied and the subject fled with a small amount of cash. A perimeter was established and with the help of Mason County Sheriff, a K9 search was conducted for the subject, but he was not located. The subject was described as possibly a light skinned male, 5-foot-10, thin build, approximately 25 years old.